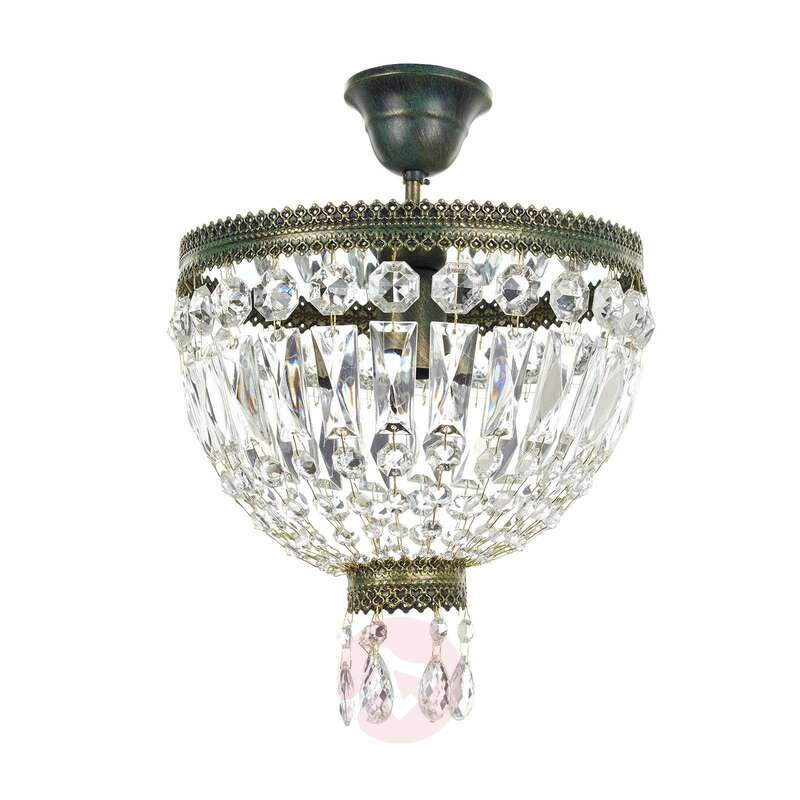 The ceiling light CUPOLA creates impressive light effects which are through its cut glass crystal hanging elements . The countless crystal elements hang from a frame in an antique green-gold look, resulting in a harmonious and elegant overall appearance. In addition, CUPOLA impresses with its high-quality finishing.